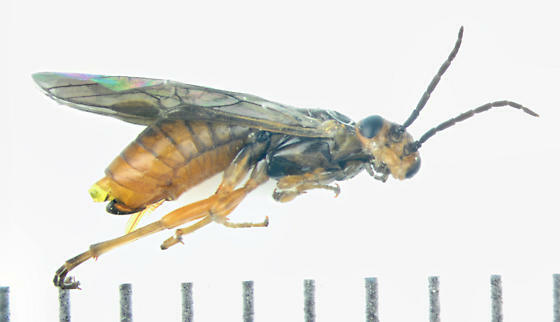 This is the very first sawfly I've ever been able to overwinter to an adult. Thanks to C Eiseman's recipe. However, in my excitement there was a slight mishap (a bit of glue has since taken care of). It could have been worse.